Happy Sunday, friends! I have had many of you guys ask me how I do my top knot, so I decided to do a little tutorial, because my answers on how I do it seem to sound a little dumb. 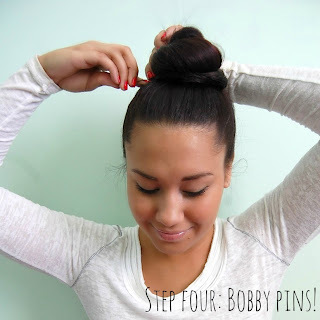 I always seem to do it a little bit differently, depending on the look I want, but this is my go to top knot. 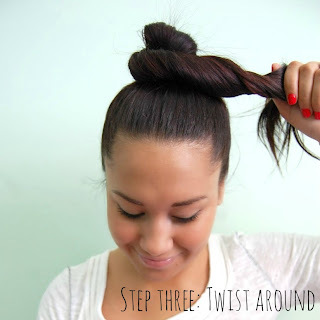 It's easy, fast, and it looks fab. 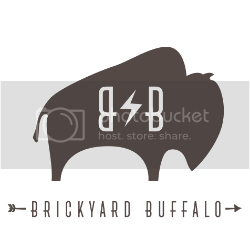 P.S.--This is my first tutorial ever, so don't make fun. 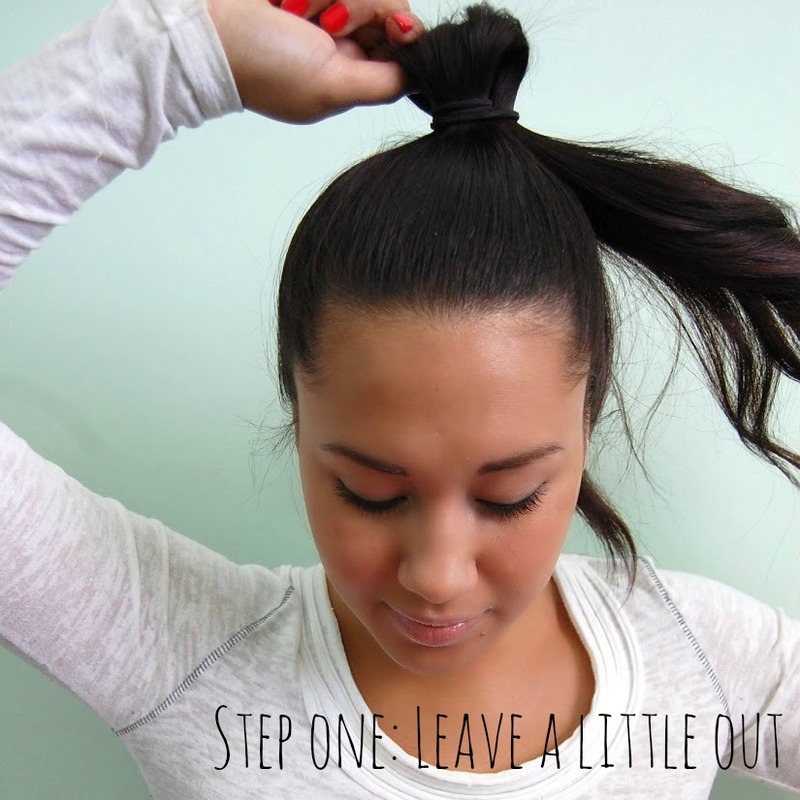 Step One: Instead of pulling your pony tail all the way through, leave a little out. 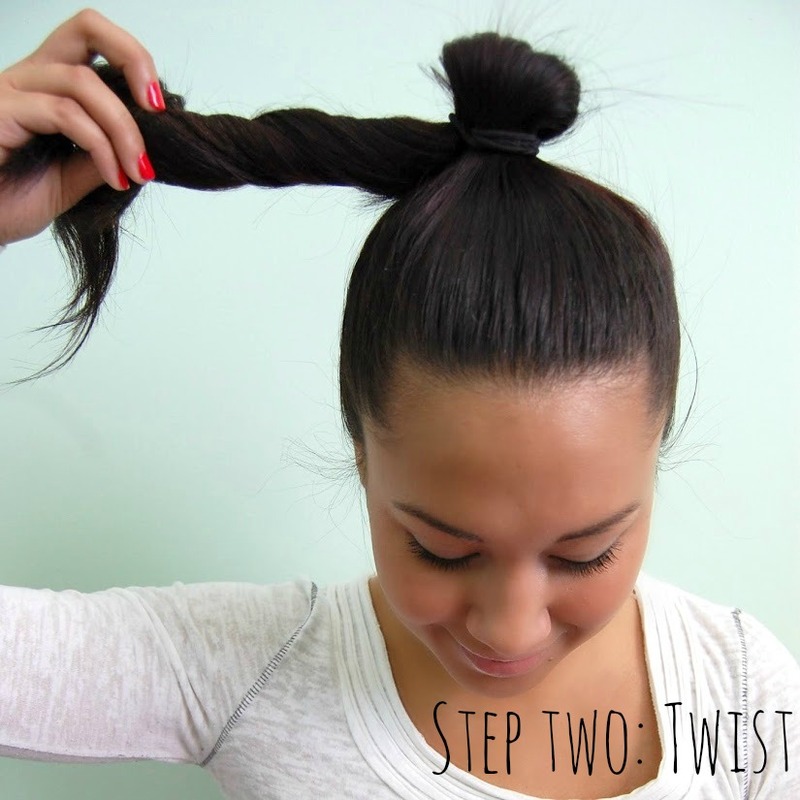 Step Two: It's simple, just twist it! Whichever way you want, whichever direction you want, just twist. Step Four: Use as many bobby pins as you need. 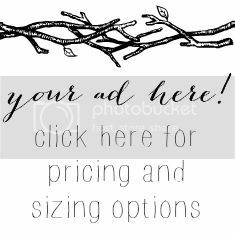 I'll use a few, just to tie it down a little and give it the shape I want. 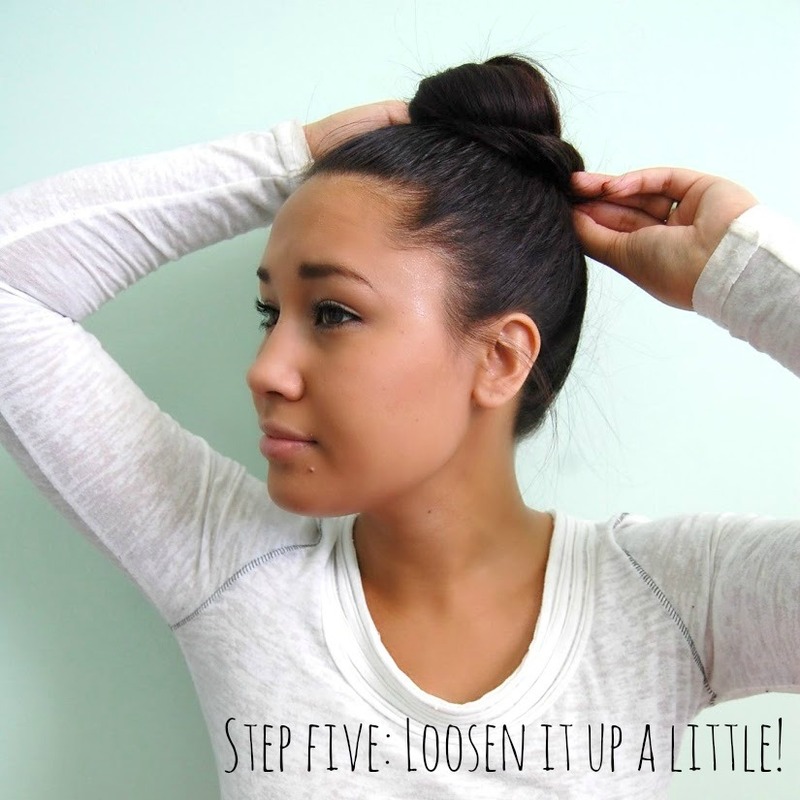 Step Five: Loosen it up where needed. 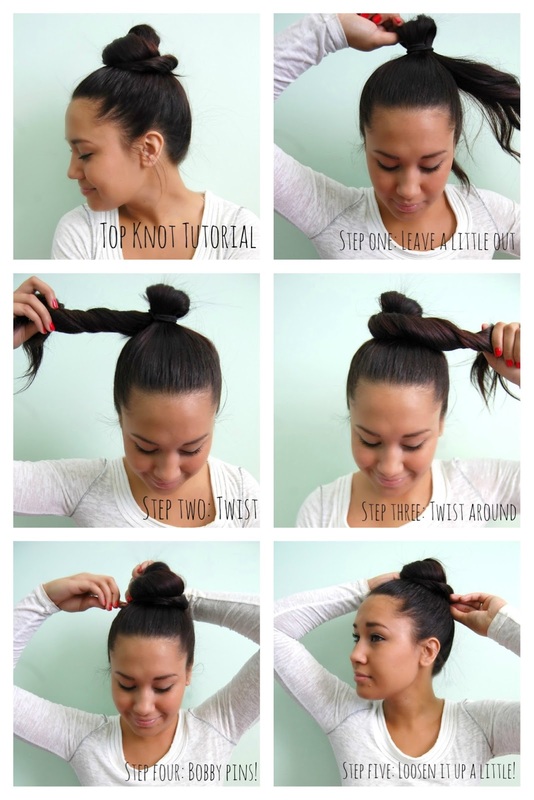 I like my top knots to look loose and effortless, so I'll just pull on certain spots to do so. But everyone is different, you may like yours tighter! There you go, folks! An effortless, easy top knot. Thank you for being such amazing followers. Happy Sunday, and cheers to the rest of your week being amazing! So cute! You did a pretty amazing job on your first tutorial! I never thought to pull a little through first! I usually just twist the whole thing around. I like how this way gives it a base, Genius!